As the weather starts to heat up and we start to endure prolonged periods without rain, you may notice that the non-irrigated sections of our Park will start to appear quite dry. We only irrigate certain sections of the Park and this has been the case since our establishment, more than 80 years ago. Our Park, which spans 40 hectares, contains a mix of older non-irrigated areas, and newer irrigated areas. Families can choose between irrigated and non-irrigated sections and it’s important to specify this choice when discussing burial options for you or your family. We work hard to be environmentally sustainable and keep our costs down. We use a lot of solar power and bore water and continually work towards reducing our carbon emissions and the amount of waste we send to landfill. As a result, we have been nominated and won awards in recognition of our commitment to the environment including the United Nations World Environment Day Award. 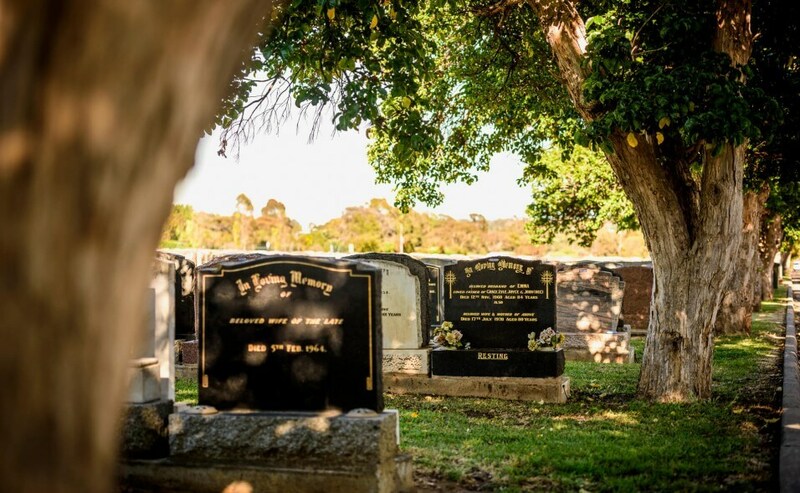 Natural rainfall ensures the cemetery is lush and green during the cooler months, however rainfall during the summer months is not always sufficient to keep the Park green all year round. Already a high water user, to irrigate additional sections would place us in the top water users in the state, which would not only come at a significant cost, but would go against our commitment to operating in an environmentally sustainable way. Even in irrigated areas, watering is undertaken only when rainfall is insufficient and is supplemented with bore water and storm water where possible. Irrigated burial areas are available in our Park, and include those in which grass was intentionally planted when the relevant area was first developed – these include our three Lawn Burial sections, memorial gardens and more recently our Children’s sections. We welcome families to contact us directly to discuss the different burial options we have at Centennial Park including irrigated and non-irrigated options.